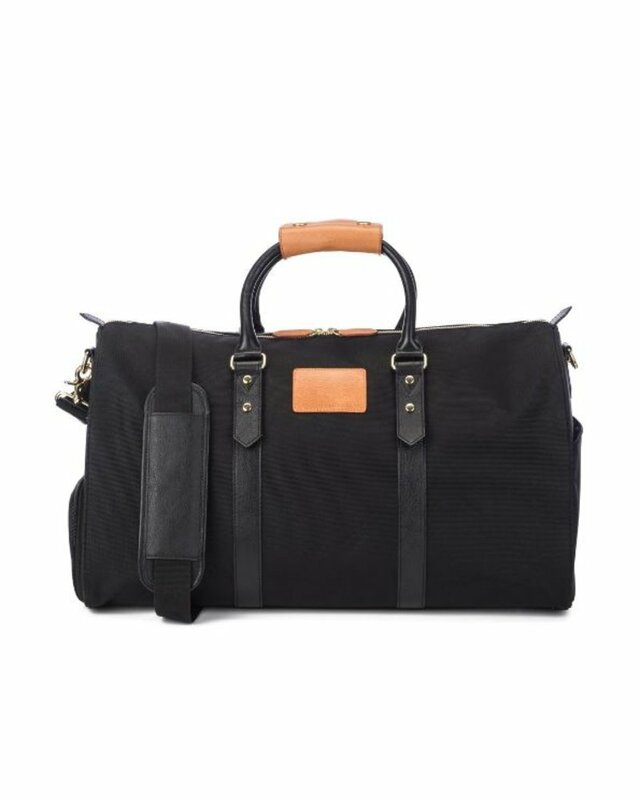 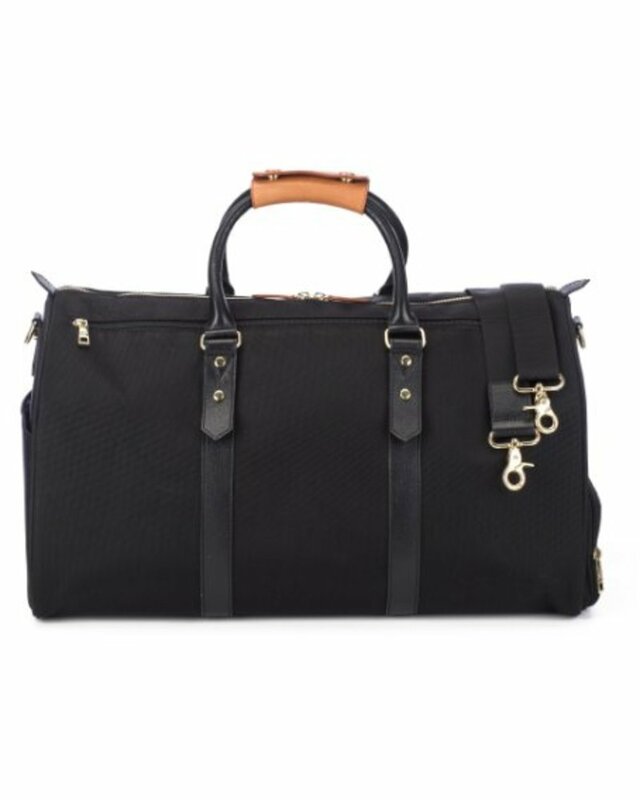 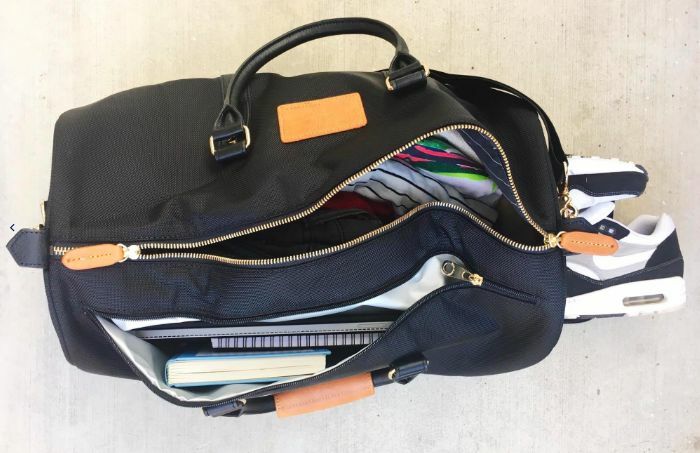 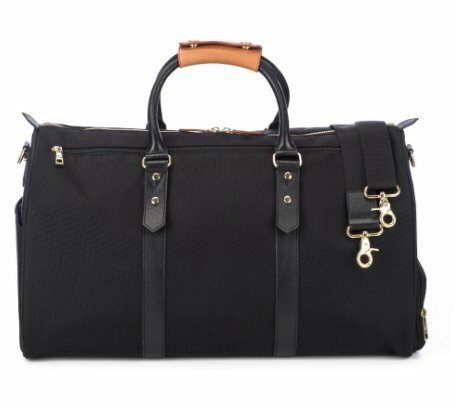 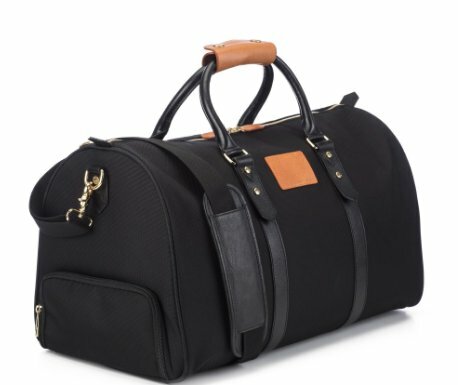 This sleek duffle bag works for weekend trips or the gym. 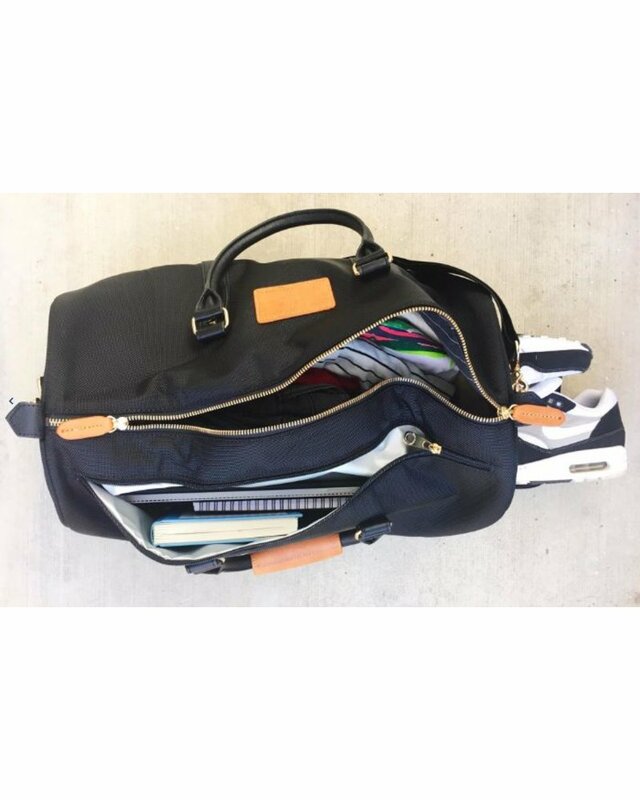 It features a waterproof back pocket for files, laptop or a tablet, a waterproof zippered shoe compartment and a zippered interior pocket. 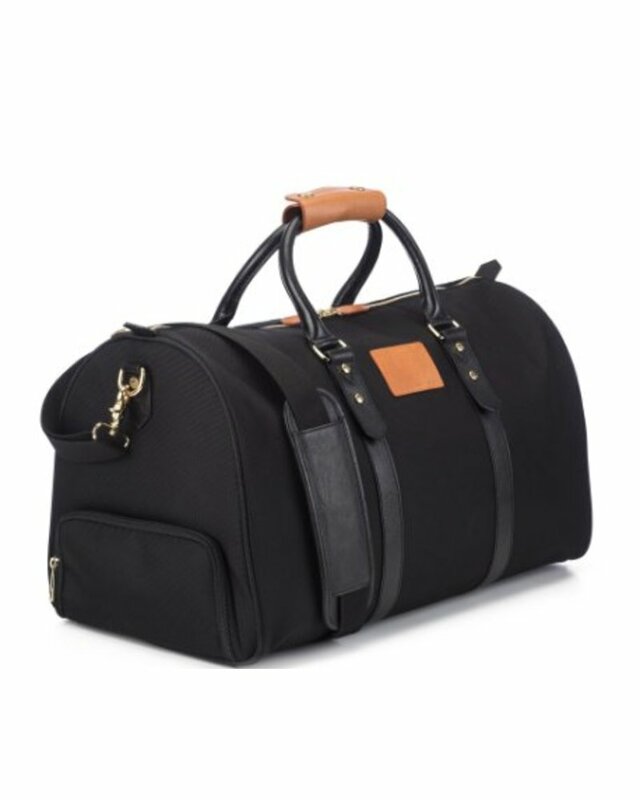 It has an adjustable, padded shoulder strap. 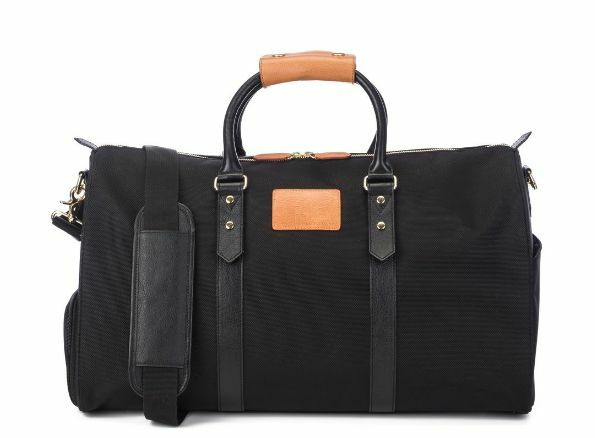 It's made of ballistic nylon and Italian leather accents.